Even though I’ve been training JIRA for years, I still learn new things all the time. 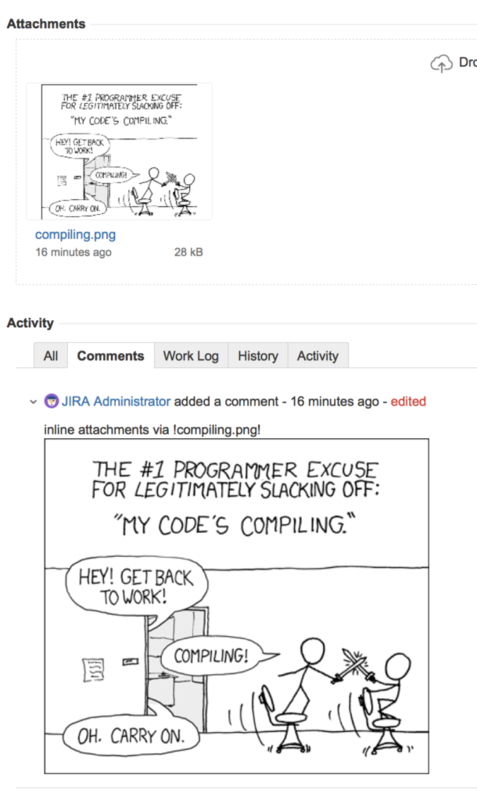 The latest thing I came across was embedding images into the comments area from within a JIRA issue. The wiki markup to use is !my_image.png! Don’t try it with a word doc.